Thank you Popular Mechanics! What a lovely article. The February, 2016 edition of Popular Mechanics, page 52-53, has a nice two-page spread on our Ideal Steel Hybrid stove entitled “A Beautiful Thing”. Not everyone looks forward to tax time, but we have GOOD NEWS! The Federal Government is providing an opportunity for you to receive a tax credit of $300.00 for wood burning stoves purchased and installed in a primary residence. The credit is retroactive for 2015 purchases and installation, and current through December 31, 2016. 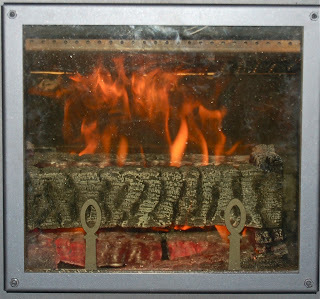 The credit is offered for wood stoves that are 75% efficient or higher. Here at Woodstock Soapstone we make it easy for you as all of our current wood stoves exceed the requirement. The certificate noting this is available to download from our website. Please note: Homeowners who have taken advantage of previous energy tax credits may not be eligible for the current tax credit. There is a maximum “lifetime” energy tax credit cap of $500, retroactive to 2006. If a homeowner has used $500 or more in previous energy tax credits, he/she may no longer be eligible for the $300 credit currently offered. 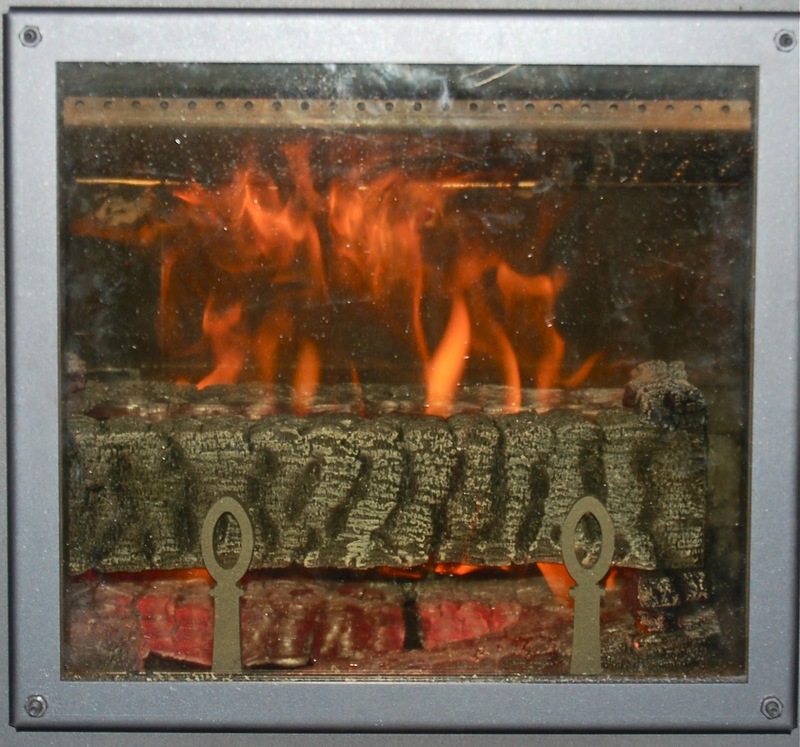 You will find more information regarding this tax credit on our website at: http://www.woodstove.com/tax-credit-faq. If you have questions regarding how you personally qualify for this federal tax credit, please see your accountant or The EPA websites http://www.epa.gov/burnwise and www.energystar.gov. Exciting News! Our Commander-in-Chief, Tom Morrissey, has been in Quebec, Canada, testing our newest steel hybrid for EPA certification and UL listing. 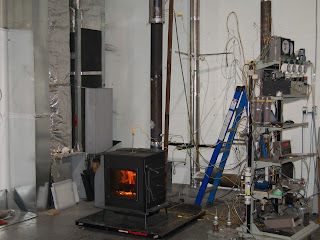 The first of the EPA testing, the high burn test, went very well (data coming soon). Another EPA test is on the calendar for tomorrow, and we expect the EPA testing phase to be finished early next week. Then we move on to UL and clearance testing. We have been working with the EPA to be the first company to test with cordwood. Unfortunately, the EPA has not yet approved a cordwood test protocol. Meanwhile, we are testing with the standard Douglas fir “cribs” which consist of Douglas fir 2x4s and 4x4s, with spacers stapled to them in a precise method described by the EPA (photo below). We are looking forward to continued successful testing, and getting our newest steel hybrid in production soon. Stay tuned! The Wolf Moon arrives on January 23, 2016. In the Native American tradition, the full moon for each month has a name. The January Moon is also known as the Snow Moon, North Moon or Cold Moon. We all know January brings cold weather and darker days. 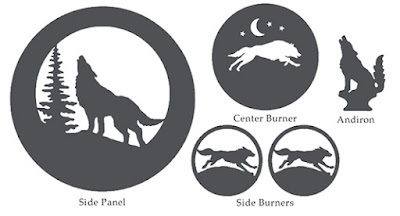 One of the symbolic meanings of the Wolf Moon is that wolves are designed to handle whatever winter brings, much like our woodstoves. Wolves are also known for being resourceful. Our January Steal of the Month is your opportunity to be prepared for whatever winter brings your way. Celebrate the month of January by checking out our January Steal of the Month page. Get a free Wolf Design set (shown below) and Wolf Tool Set with every purchase of an Ideal Steel Hybrid Stove. Be prepared for winter – just like a wolf.